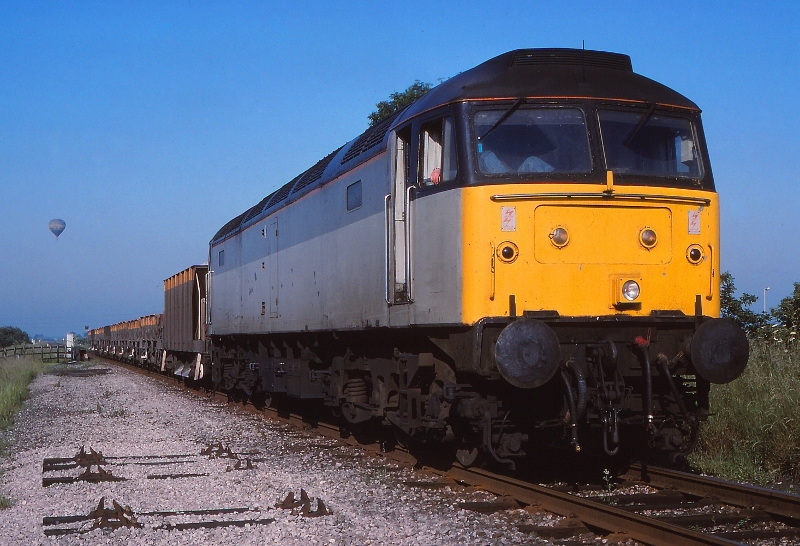 Martyn Hilbert's Railway Photography - Preston & District - Class 47, 47303 on the Ormskirk Line. Class 47, 47303 on the Ormskirk Line. Near to the former Moss lane Junction at the top of the incline from Farington Curve Junction on the Preston to Ormskirk line, Class 47, 47303 stands with an engineering train on Sunday July 7th 1991. The train was recovering scrap track materials from the former Up line, disused since 1983, and patch ballasting on the remaining single line.